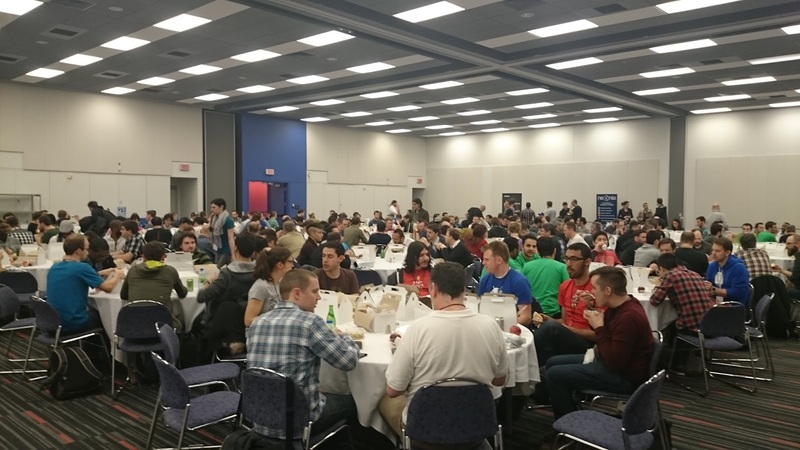 It's important to note that this was the 1st DroidCon in Canada! It was truly an awesome event. You had all sorts of people from different areas, not only did we have people locally, but there was people from Japan, France, United States etc. There was multiple subjects of interest with some awesome presentation! Android Coliseum was invited as a media partner to attend the event and see what DroidCon Montreal was all about. I can tell you that this is community driven, it's the core of Android in real life. All these developers are there to learn, grow, make friends and ultimately give back to the people. During the introduction to the event we were mentioned as media partners for the event, which was awesome of them to not only mention us, but they displayed all the partners at the event! Kudos to +Android Coliseum. It started off with Jake Warton and Jesse Wilson from Square leading on the topic of "Marketing Vehicule". This is where they talked about a means to get a product out to the public. How-to present it, how to advertise it to your community and ultimately make it an indispensable app that everyone will want to use. As your product grows, it's a good idea to keep a good reputation. Make sure that you can set yourself apart from the competition. You need to be able to grow in the industry and make a name for your brand. You'll need to source partners, employees that will be able to bring you to the next level. If anything, innovation will keep your users coming back for more. Working on Android also means being open and transparent to everyone, it allows for sharing of code, improving, growing and making something truly awesome for everyone to enjoy. It allows to have no barriers which can prove to be quite useful to avoid possible litigation. In the end open source offers many options. There's a lot of elements needed to develop an application, even in an open source environment like Android. You'll need plenty of resources such as your libraries, views, networking, data, monitoring, development, testing and structures. Key things to consider, is to keep your library simple with the right features. It's also very good to ensure that your libraries are correctly established for your needs and in the end you don't want your app to break because extra features you aren't using. The speakers were very on point when they said that Android has grown by leaps and bounds since it first appeared to the public. The growing community of developers and users can be seen all throughout the various part of the world.